the story of R White’s and successors in Barking and Essex. Why does the name of R White’s (established 1845) appear on bottles of soft drinks produced by Britvic? This article is an attempt to unravel the story. Robert White was born in 1824. At the age of 21, he and his wife Mary started selling home-made ginger beer from a barrow in Camberwell. The business expanded rapidly and, by 1869, the company had five production units and 16 depots across the Midlands and South East of London. In 1891 White took control of H D Rawlings, who had commenced business in the London area some time between 1770 and 1815. Rawlings had always specialised in what are now known as “mixers”, with R White’s concentrating on lemonade, so their amalgamation was a logical step and made them the biggest single force in the soft drinks industry in London and the south east. 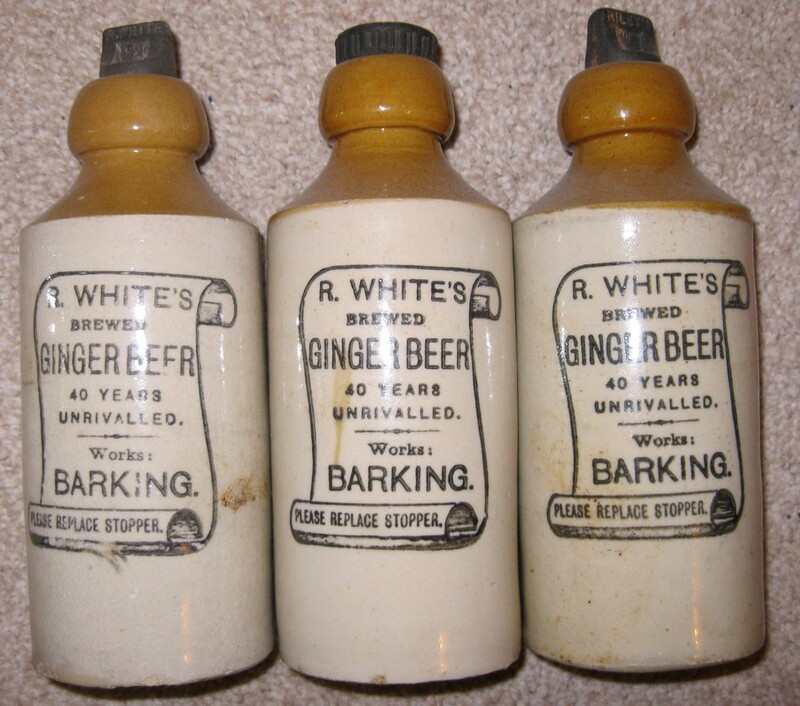 White engaged his sons, Robert James and John George, to help him run the business, and the company became known as R White & Sons Ltd.
Ginger beer remained White’s leading product, but a price list of 1887 shows a wide range of products, all offered for sale in Codd’s patent glass bottles. The choice available covered strawberry soda, ginger beer, raspberry soda, cherryade, dandelion and burdock, cream soda, pineapple cider, soda water, orange champagne, and Seltzer water. Prices were 1 shilling per dozen, with ginger beer in stone bottles at 8 pence per dozen. By the turn of the century, over 40 different flavours of carbonated drinks and cordials were on offer. 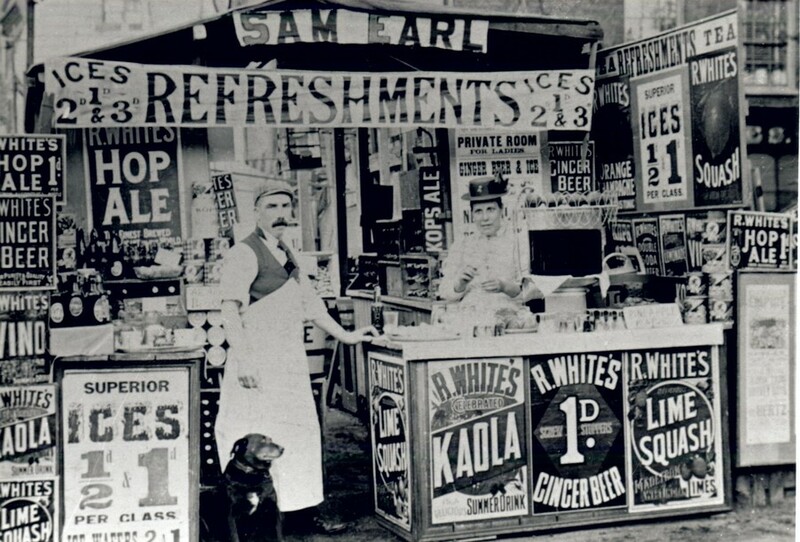 The wide range of soft drinks available from R White’s is shown in the advertising surrounding this stall. The main building was 120 feet x 70 feet & was entirely covered by a slated roof on the Southern face & covered with glass having a Northern Aspect so as to admit as much light as possible without the glare of the sun, & it was so arranged that vans could pass in & unload their empties & then pass into the Stock room, reload & pass out of the Factory. 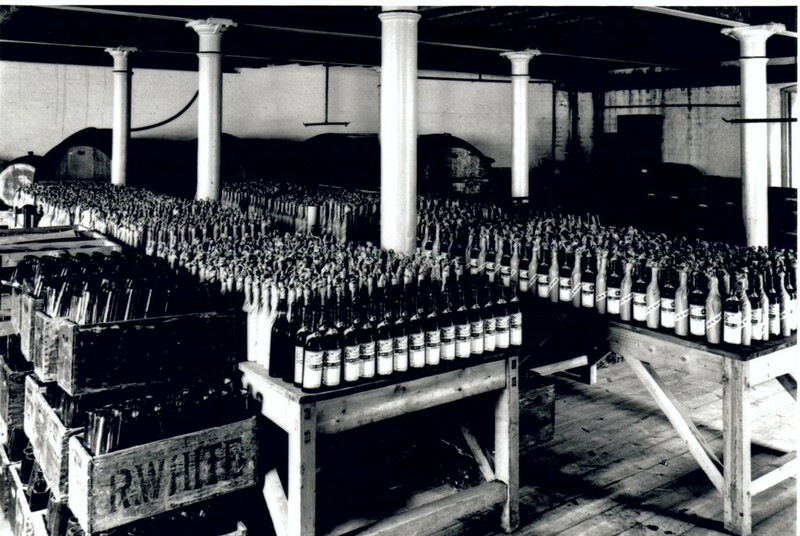 Around the late 1880s, R White’s had a plant capacity of 600,000 bottles of mineral water and 38,000 gallons of ginger beer per 12 hour day, which probably made them one of the first mass producers in the business. (from: Barking & Dagenham buildings past & present, Tony Clifford (1992), p.62). By 1886, soon after building his factory, Van opened a branch at Grays and formed a limited liability company. However, his business became less successful and by 1890 he had sold out to R White & Sons, who greatly enlarged the works and made many improvements. Robert White died in 1901, aged 77. His two sons continued to run the business. 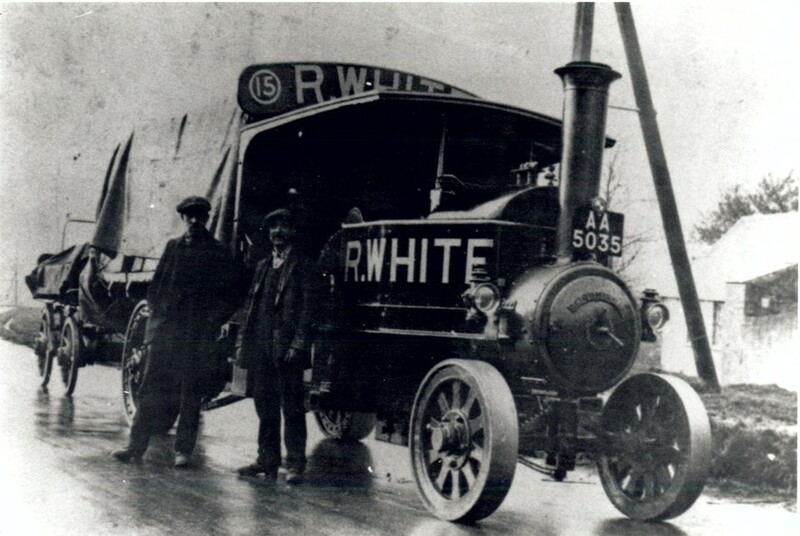 By the late 1880s, R White’s had a distribution fleet of 309 horses and 203 vans. In the First World War, the company supplied over half of its horses and vans to the government’s war effort without seriously damaging output. This picture shows steam engine AA5035 hauling a load. White’s factory in Barking is shown on a fire insurance plan issued by Chas. E Goad in 1908. It was bounded by St Ann’s, St Paul’s and Gascoigne Roads and Axe Street. It was demolished during the winter of 1972/3, when the company moved their head office and production plant from Albany Road, Camberwell (where they had been since 1895), to Beckton. 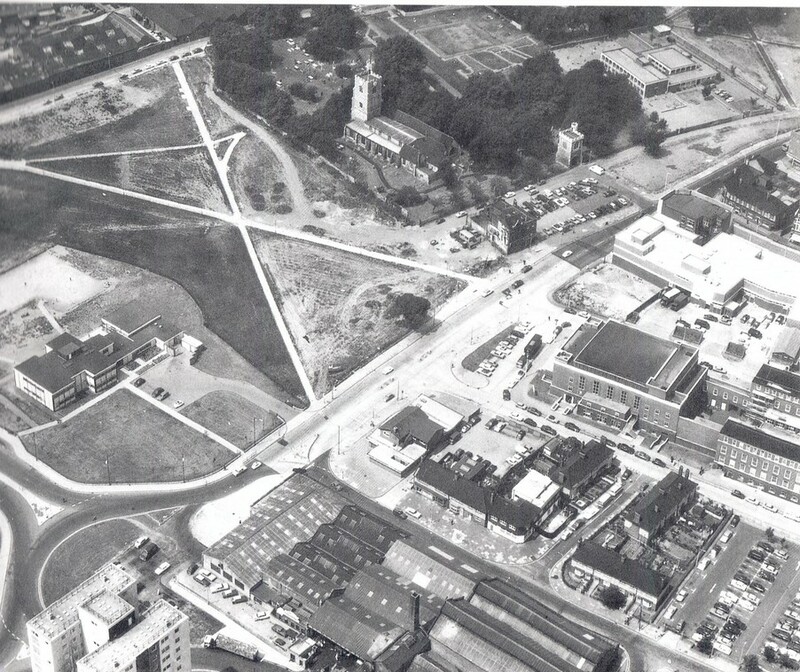 The Albany Road factory was demolished in 1969, the year that R White’s became the Soft Drinks Division of Whitbread. The Soft Drinks Division of Bass (Canada Dry (UK) Limited) merged with that of Whitbread in 1980 to become Canada Dry Rawlings Limited. Then, in 1986, the latter merged with Britvic Limited – the Soft Drinks Division of Allied-Lyons PLC – to become Britvic Soft Drinks Limited, of which Bass are the major shareholders. Britvic started in the mid-19th century in a chemist’s shop in Chelmsford. In the 1930s the company was incorporated as British Vitamin Products by Ralph Chapman, who, in 1938, was experimenting with a range of fruit juice products containing Vitamin C. After the Second World War, Chapman realised the potential of fruit juice to a nation deprived of fruit. A method of bottling juice was perfected which did not involve the addition of preservatives, and a range of fruit juices was launched in baby bottles in 1948. An ultra modern factory was built at Chelmsford in 1954 to cope with the demand. The trading name was changed to Britvic in 1971. And so the journey from R White’s, Barking, to Britvic comes to an end. R. White's still contains real lemons and is available as a diet, cloudy or clear carbonated soft drink. I would like to acknowledge help received from Alan Bentley, Assistant Curator at the Bass Museum, Burton-on-Trent, and Simone Wood of the Public Relations Department, Britvic Soft Drinks, Chelmsford. Records of R White and Sons Limited, soft drinks manufacturers, including a ledger covering profits and sales figures for R White & Sons from 1845 through to 1951 are held at London Metropolitan Archives; also included are examples of bottle labelling and newspaper cuttings of Company adverts. 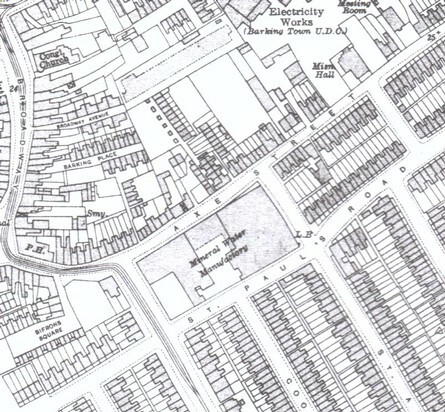 Detail from Essex (new series): Sheet 86.07: East Ham & Barking (South) 1915 (Alan Godfrey Maps, 2007; notes by Tony Clifford & Alan Godfrey), showing the site of R White’s factory in Barking.